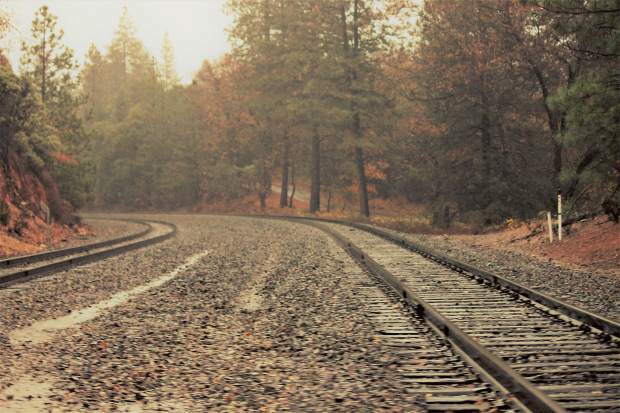 Photo taken on Tuesday in Colfax of train tracks. 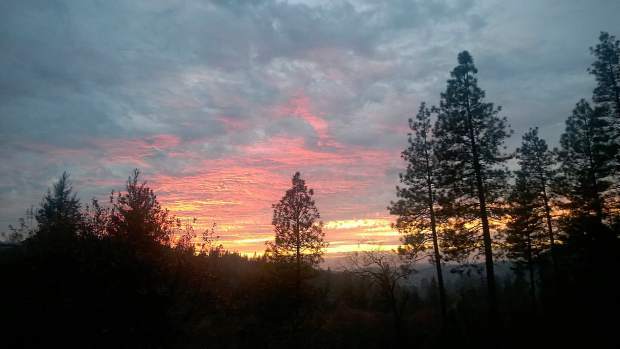 Taken last week, a sunset overlooking Derr Creek Falls. 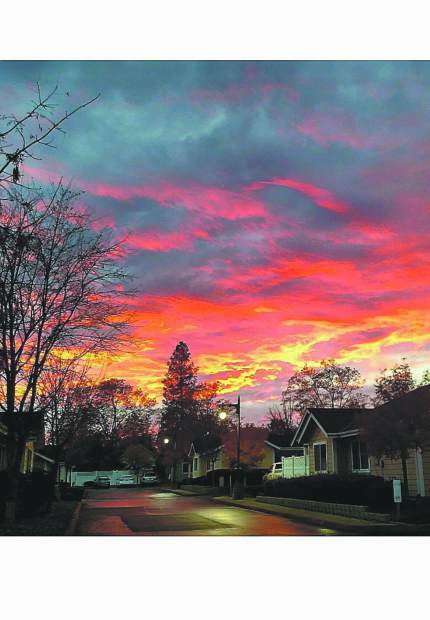 A Thanksgiving sunset taken on East Main Street in Grass Valley's Highland's Court. 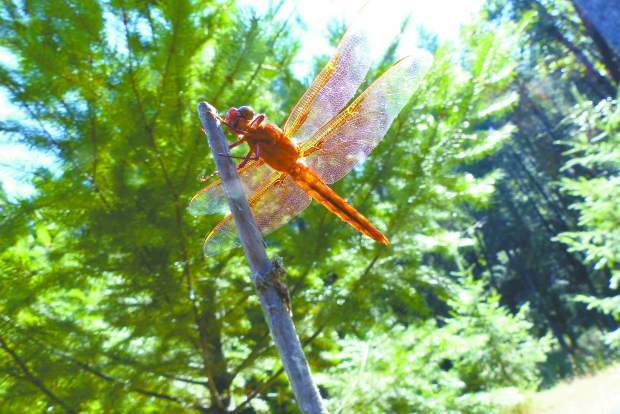 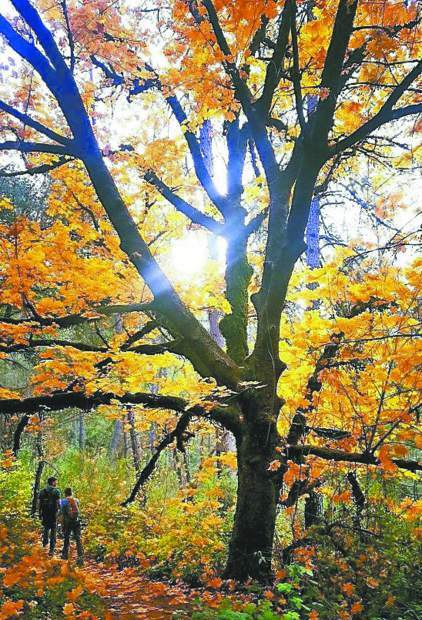 A lovely fall walk to Feather Falls in Oroville. 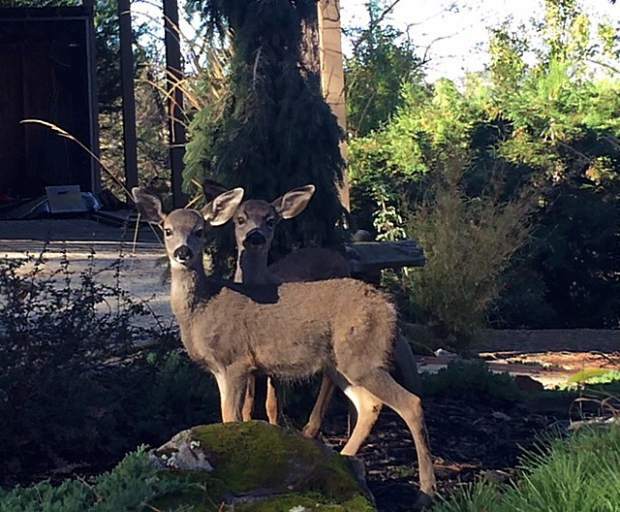 These darling twin deer were in Lake Wildwood driveway a couple weeks ago. 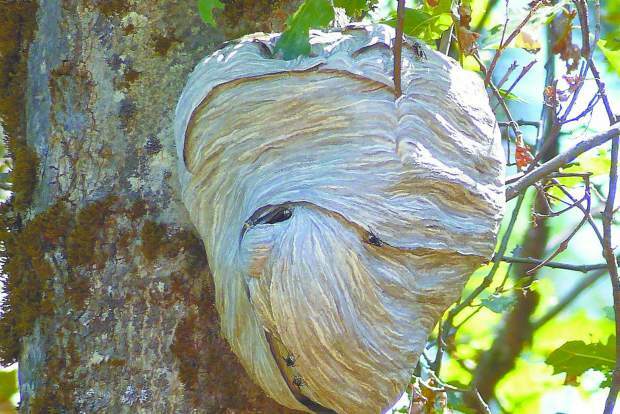 Shot of a bold faced hornet nest hanging from a tree.